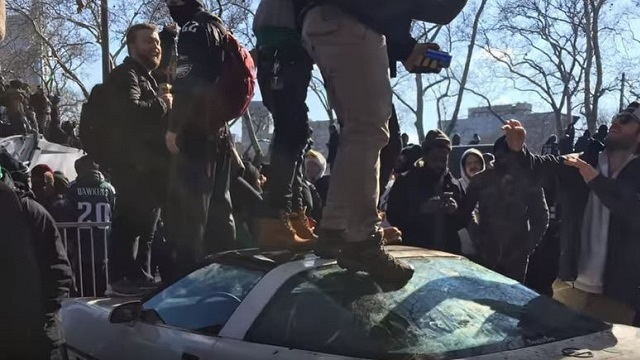 Philadelphia, PA – ON Thursday, Feb. 8, a woman in Philadelphia parked here 1985 Corvette near an art museum to watch the Eagles Super Bowl parade and Philadelphia Police are seeing those who jumped on it and jumped up and down all over it. The Corvette was parked near the intersection of Judson Street and Pennsylvania Avenue. When the owner came back to her Corvette, she found extensive damage to the hood, roof and rear hatch sections of the car. If you see the suspects in the video, do not approach, contact 911 immediately.